While it is true that Black Friday is a day for you to save money on all your holiday shopping, did you know that you can save even more? Well, you can and all you need is your cell phone. Here are some great apps for saving money on Black Friday. Do you use any of these best apps for saving money on Black Friday? Which is your favorite? Tell us in the comments! RetailMeNot- RetailMeNot is available for iOS and Android. This app is so easy to use and helps you locate deals at stores that are near you. It features a heart icon that you tap so you can choose your favorite stores. Then, you can view all of the deals at your favorite stores when you open the app. The app also has coupons to use in the stores as well as coupon codes to use online. Black Friday– Black Friday is an app from Fat Wallet and is available for iOS and Android. The app is your one-stop app that lets you search, save, compare, share and shop Black Friday ads. You can search deals by store, price, brand or door busters. Flipp– The Flipp app is available for both iOS and Android. It also you to see weekly flyers for over 800 stores. You have the ability to search by item, brand or store and you can even make a shopping list and save a coupon you are interested in for in-store access. Price Cruncher– Price Cruncher is an Android app. The app lets shoppers see which deals are really the best of the best when it comes to deals. This is especially helpful if you are purchasing an item in bulk since you can calculate the actual price per product. Price Cruncher also features a shopping list, discount calculator, and purchase history. Dealnews– Dealnews is available for iOS and Android. This app pulls Black Friday sales and deals from thousands of stores and websites. The only thing you need to do is choose the stores you intend on shopping at and instantly you will have access to that store’s Black Friday sales and deals. Retail me not is my fav! I haven’t heard of the others, but I’ll check them out, thanks for the inside scoop. Oh this is cool – I really need some of these apps – thank you. Off to download some of ”em now haha! Wow I am glad I read this tonight. This is just in time for me to take advantage of these for Friday. Thank you! I need to spend some time getting these downloaded and preparing. Shopping time is nearly here. I love that this helps you find the best deals on Black Friday. It’s always easier to use technology. I use RetailMeNot all the time. I like being able to pull up saving right in the store. My husband is already doing some heavy holiday shopping, but I haven’t even started yet! Have to check out these apps, as I’d love to save as much money as possible when buying all the presents. 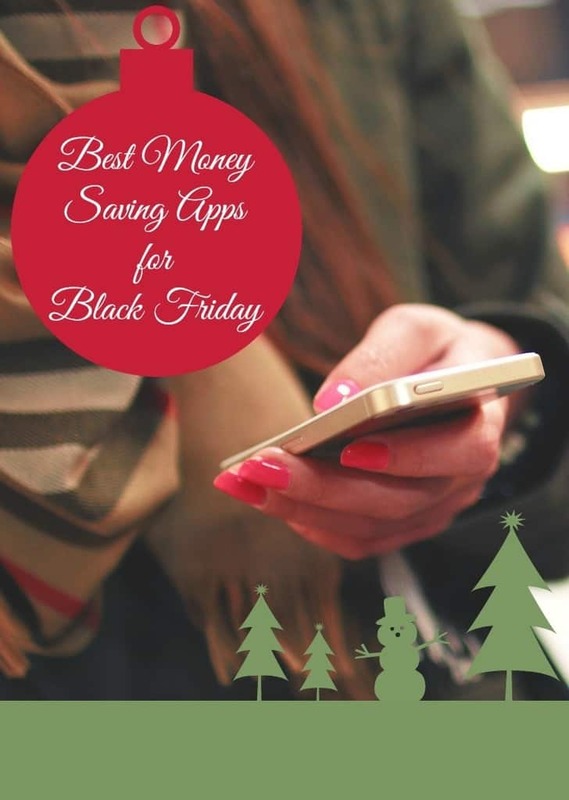 These seem to be great apps to plan for Black Friday shopping! I’ve been using Retail Me Not, and I will definitely be checking out the other three. Who knows what other great discounts I can find! Thanks for sharing!